Releases on 26/07/2019. 93 Days left to Preorder! 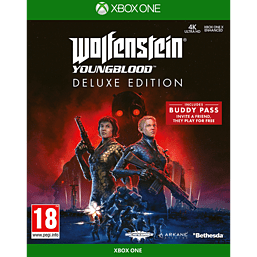 Wolfenstein®: Youngblood™ is a brand-new co-op adventure from award-winning studio MachineGames, developers of the critically-acclaimed Wolfenstein® II: The New Colossus, in partnership with Arkane Studios® Lyon. 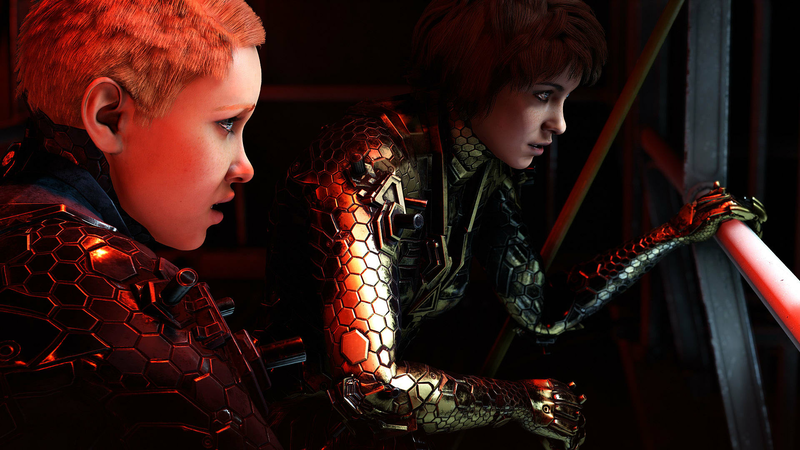 Play as one of BJ Blazkowicz’s twin daughters and undertake a do-or-die mission to find their missing father in 1980s Paris. 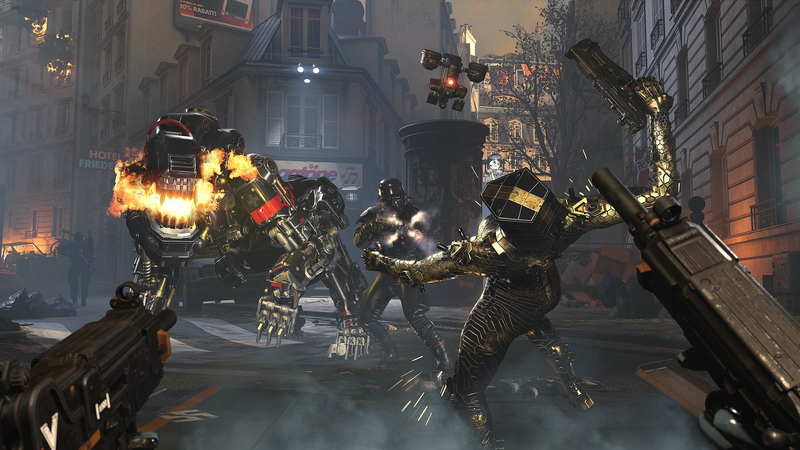 Wield an arsenal of new weapons, gadgets, and power armor abilities in a fight to kick Nazis out of the city of lights. Paris 1980. 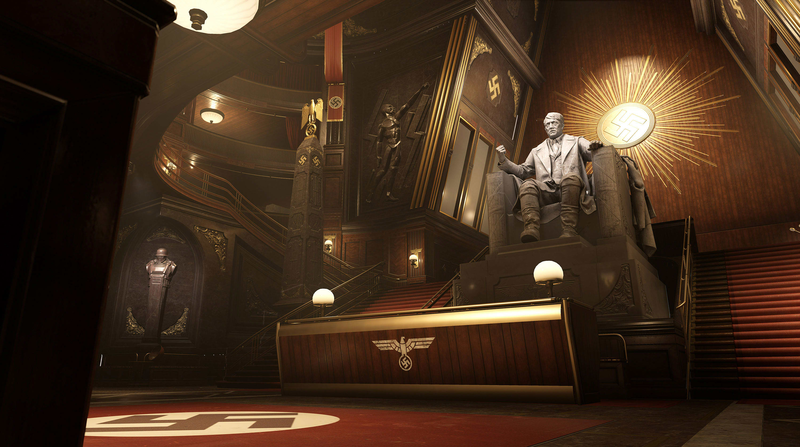 BJ Blazkowicz, hero of the second American Revolution, is missing. 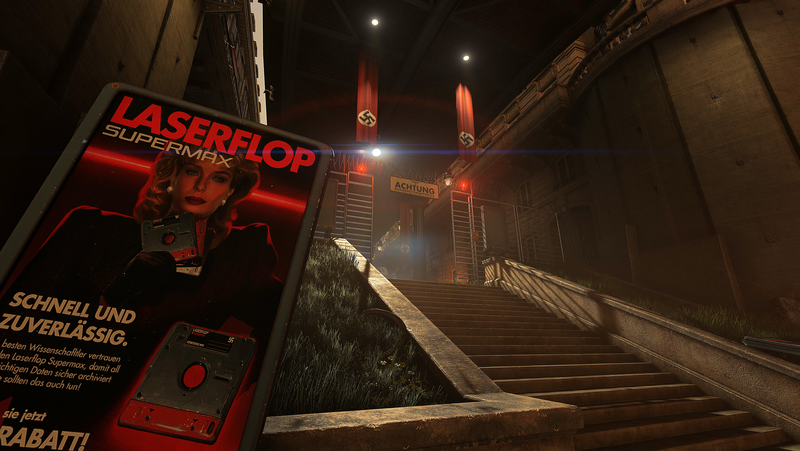 Nineteen years after the events of Wolfenstein II: The New Colossus, BJ has disappeared after a mission into Nazi-occupied Paris. Now, after years of training and guidance from their battle-hardened father, BJ’s twin daughters Jess and Soph are forced into action. 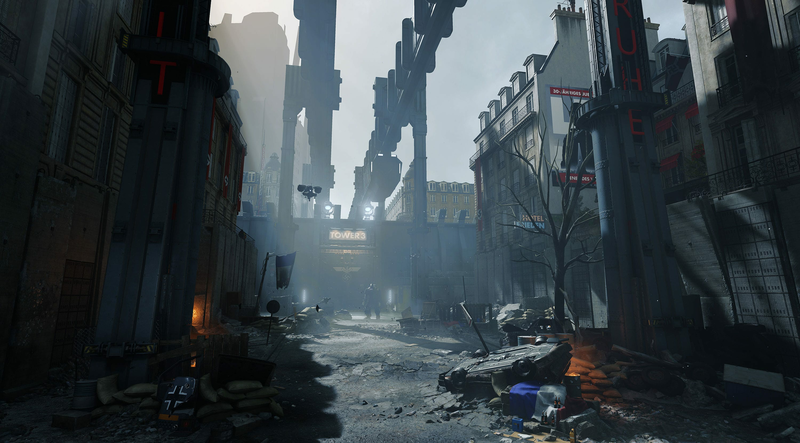 Team up with a new cast of freedom fighters and brave the unsettling sights and sounds of twisted, alternate reality 1980s Paris. 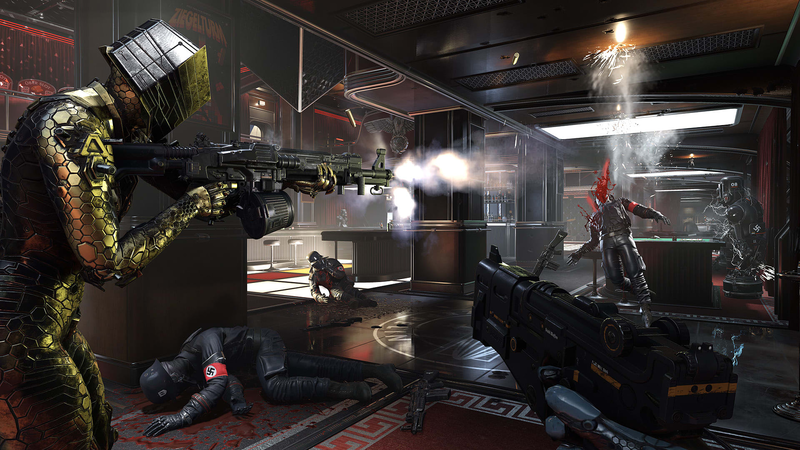 Team up with a friend or play alone with an AI companion in the first modern co-op Wolfenstein adventure. 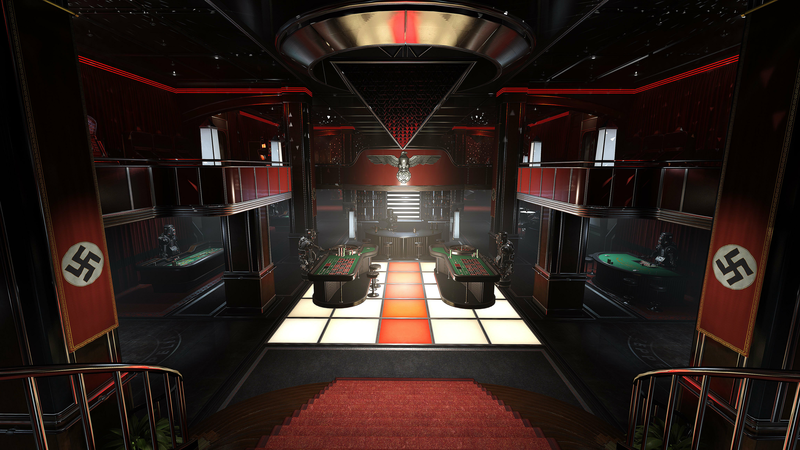 Perform new tag team maneuvers, crank up the voltage with the devastatingly powerful new co-op weapon, the Tesla Gun, and show off your flair with skins and emotes. The wonder years, these are not. 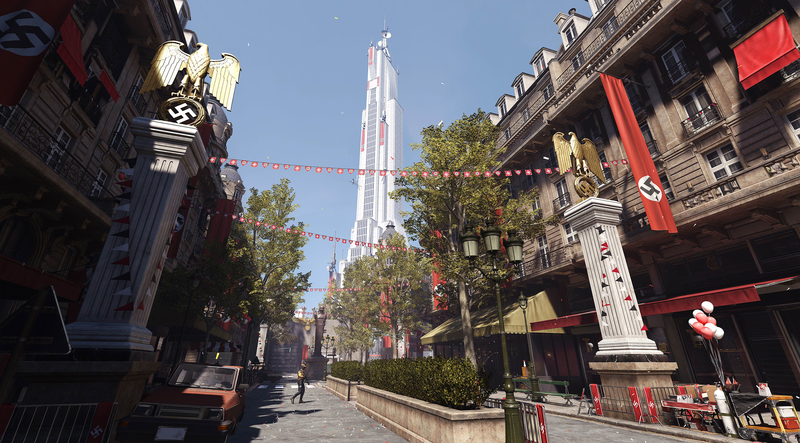 Featuring harrowing takes on iconic Parisian landmarks to graffiti-tagged streets, leather-clad Nazis, and an all-new soundtrack inspired by the synth heavy tones of classic 80s action films. 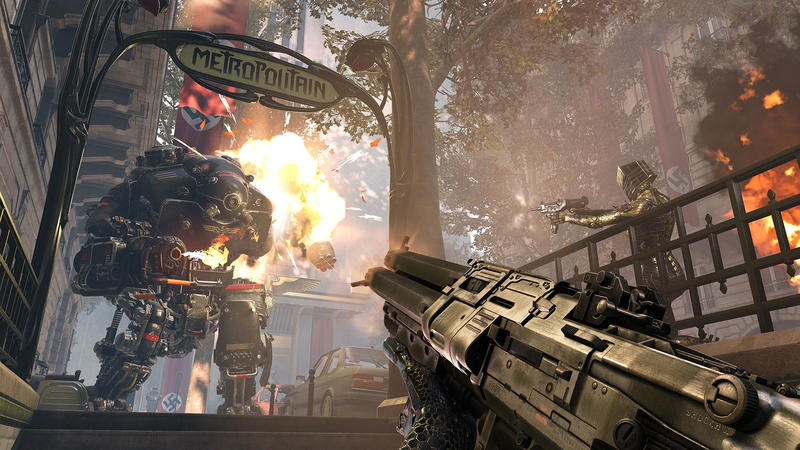 Wield the latest advancements in power armor tech, weaponry, and armor to stamp out Nazi scum. 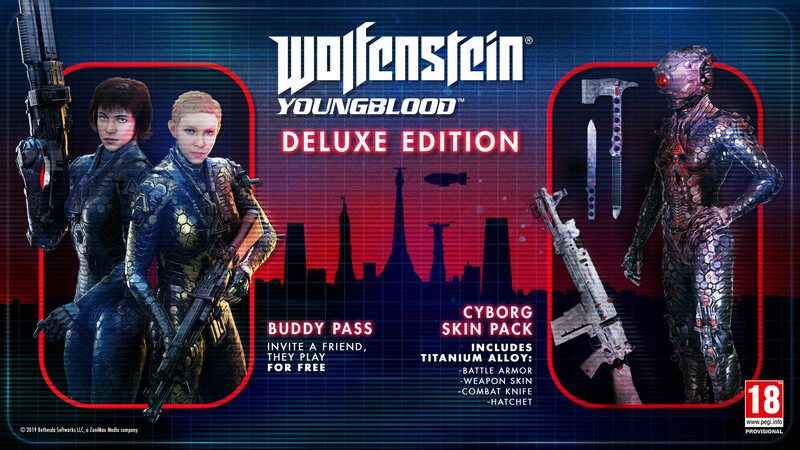 Level up, explore, and complete missions to unlock new abilities, weapon attachments, gadgets, cosmetics, and more to complement your playstyle.